From the 19th till the 22th of January CBI provided a platform for the Bolivian manufacturers at the Who's Next in Paris. The CBI garment experts represented the Bolivians, and provided necessary background information on the manufacturers. 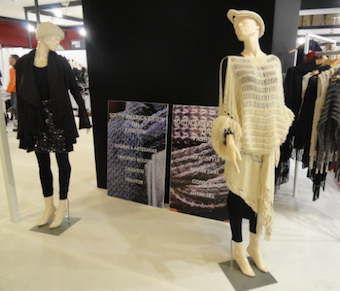 The aim of the tradefair participation was to get retailers and agents interested in this sustainable high-end fashion product, made of a mixture of alpaca yarns, handknitted by Bolivian Woman. And herewith increase the export which leads to job creation and poverty reduction in Bolivia.